The end of the year marks a finality and a conclusion to many business accountings. The new year commemorations mark new beginnings with expectations for opportunities to surpass last year's achievements. Many times the new year celebrations include asking or giving forgiveness for mistakes and hurt feelings caused by ourselves and/or others. This starting over process brings us an array of options to foster future successes by avoiding previous misfortunes and rekindling friendships that have fallen away because of a serious breach of trust or insensitivity to one another. Each new year often includes making resolutions for very practical matters as well. While looking honestly into the mirror during the past year we may commit ourselves to much more physical exercise and a change of diet to become more healthy and attractive. We often use this yearly milestone to strategically remind us to prevent disaster by changing the batteries in our household's smoke detectors. 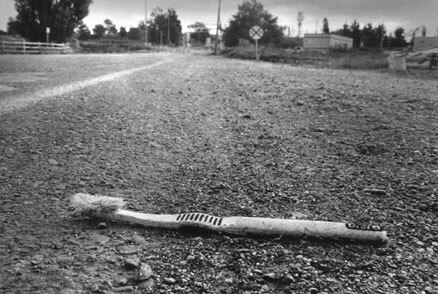 Another annual occurrence took place on Marine Drive where a multi-tasking motorist ditched their old toothbrush, presumably after brushing, flossing and checking their teeth in the mirror.